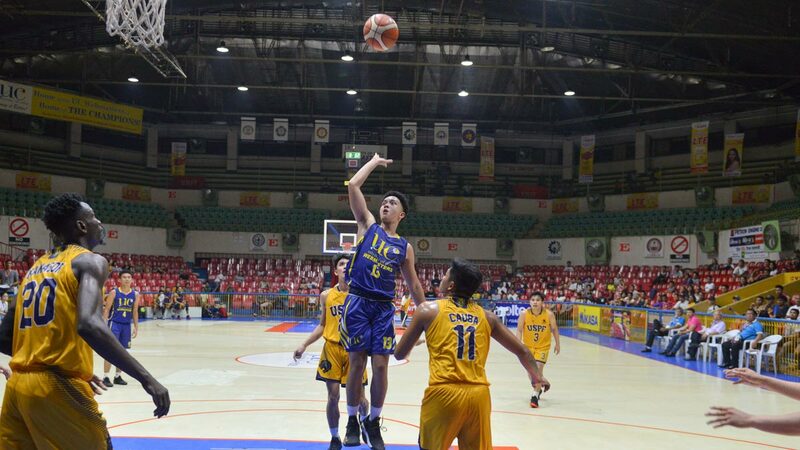 CEBU CITY – University of Cebu got back to their winning ways, beating University of Southern Philippines Foundation, 65-56, in the 2018 Cesafi basketball tournament on Tuesday at the Cebu Coliseum. Without ace guard Darrell Shane Menina, serving a one-game suspension for his role in the postgame fracas with CIT-U’s Kevin Oleodo last Saturday, the Webmasters could not shake off USPF until the fourth where a 10-2 run sparked by Cameroonian forward Frederick Elombi gave them a 57-49 lead. The Panthers resisted and pulled to 52-57 after a three-pointer by RR Cauba but the Webmasters hit eight of 10 free-throws down the stretch to carve out the win, their ninth in 10 games. Paul Galinato had 20 points, six rebounds and three steals in 37 minutes of action for UC. Elombi had 14 points to go with 21 rebounds and three steals, John Jabello had 11 markers, while Peter Paul Codilla had 10 rebounds, five blocks and four steals. The Panthers got 13 points from Karl Langahin and 11 apiece from Cauba and Rich Managor. USPF has now lost four of their last six games after starting the season with three straight wins. At 5-6, USPF is now just half a game ahead of the University of San Carlos for the final spot in the Final Four. UC 65 - Galinato 20, Elombi 14, Jabello 11, Naong 9, Abapo 6, Codilla 3, Dacalos 2. USPF 56 - Langahin 13, Managor 11, Cauba 11, Villarta 6, Quiachon 5, Mendez 2, Sarahina 2, Estardo 2, Cada 2, Patalinghug 2. Quarterscores: 11-14; 27-29; 47-45; 65-56.